The East Boulder Lake Loop provides easy access into the interior of the Scott Mountains portion of the Trinity Alps Wilderness. East Boulder Lake is the largest body of water in the Scotts, a range that extends east beyond the Trinity Alps Wilderness before merging with the Trinity Divide. The Scott Mountains form the divide between the Trinity and Scott Rivers. Even though less than a mile separates the waters flowing off of either side of these mountains, it is over 50 air miles before they meet again when the Trinity River flows into the Klamath River. The waters coursing through these two rivers must travel hundreds of winding river miles before this dramatic reunion. The loop trail is routed on both sides of the divide, crossing back in forth between the Scott and Trinity River watersheds. The interesting geography, compounded by the unusual geology that is a highlight of the Scott Mountains and the opportunity to explore numerous lakes makes the East Boulder Lake Loop a fantastic hike and an excellent introduction to the Scott Mountains portion of the Trinity Alps Wilderness. 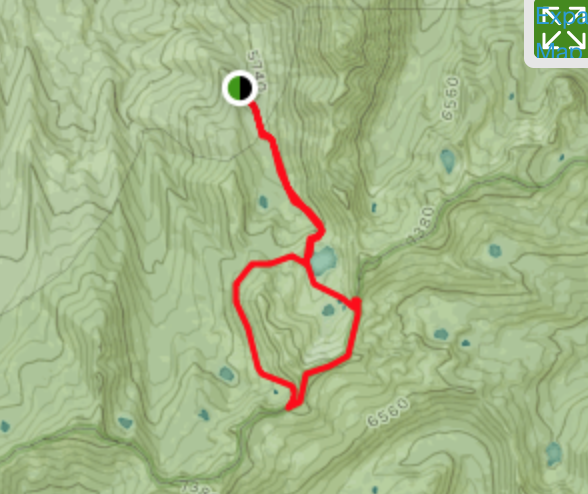 The East Boulder Lake Loop begins mildly, following East Boulder Creek through a wide, shallow canyon. Craggy Peak, among the highest peaks in the Scott Mountains, can occasionally be observed through the fairly light forest cover. The creek remains on the right hand side of the trail, which passes through intermittent meadows. About 0.5 miles from the trailhead the route crosses the wilderness boundary, entering the Trinity Alps Wilderness. Continuing past the boundary, watch for faint use trails branching off to the right. These lead to Lower Boulder Lake and the Cement Banks area, a geologic formation similar to the Cement Bluff found at the east end of the Scott Mountains, near Mount Eddy and China Mountain. 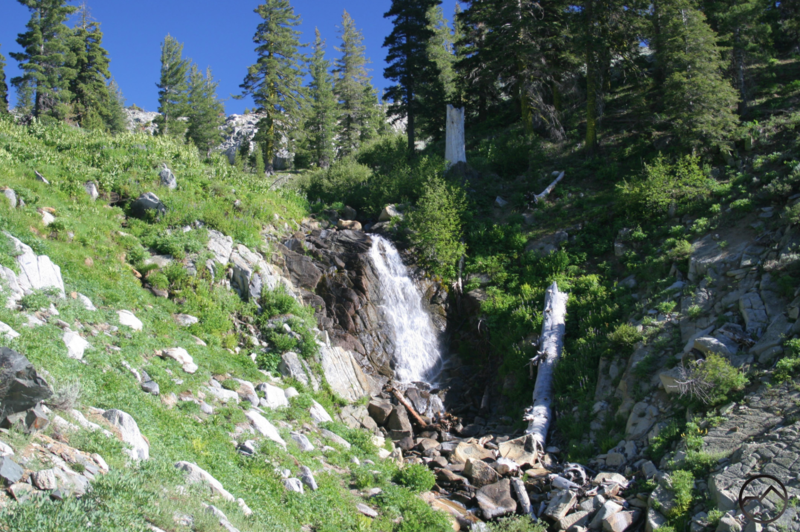 After 0.75 miles from the wilderness boundary, the trail begins to climb a little more earnestly, swinging close to a small waterfall a short distance from the outlet of East Boulder Lake. The rock along this section of the trail is gray granite, a stark contrast to the bright red rock that composes the East Boulder Lake Basin. After climbing above the falls, the trail crosses the creek immediately prior to being deposited at East Boulder Lake’s outlet.